The Health of Houston Survey (HHS) is the largest household health survey of Harris County and the City of Houston. It provides valuable information on an array of health topics at county, city and neighborhood levels. We aim to provide user-friendly and full access to data while maintaining respondent confidentiality. To do this we have chosen two web-based programs, InstantAtlas and Nesstar. 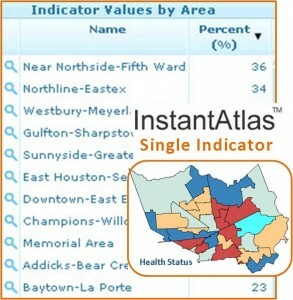 To see area percentages, maps and rankings for health indicators across the Houston area, click Single Indicator Map of InstantAtlas. 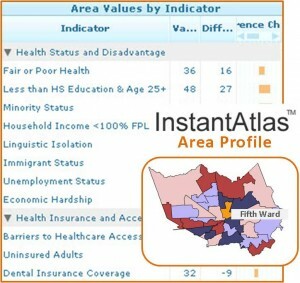 It also provides the ability to compare various indicators to national and state rates. Exporting option is available for presentations. If interested to see a full profile for each subcounty area, click Area Profile Map. If you would like to receive updates and notices about addition of variables and new map displays, please register here. Registration helps us learn who is interested in the data and tailor our analyses and presentations to diverse audiences. To learn how to get started with InstantAtlas, see example instruction videos on the right side of the page. 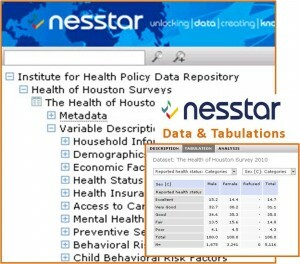 To explore the HHS2010 dataset, variables and questions asked please open Nesstar. This software will also allow you to run quick analysis, to produce tables and graphs as well as to download the data and corresponding documentation. To download study documentation, once you have entered Nesstar, click this icon , on the top right side of the screen. For more information on the methodology see HHS2010 Methodology Report. If you would like to receive updates and notices about dataset updates, please register here. To download the data please fill out a standard public use file data agreement form and send it to HealthOfHouston@uth.tmc.edu. To learn how to get started with Nesstar, see the instruction examples on the right side of the page. 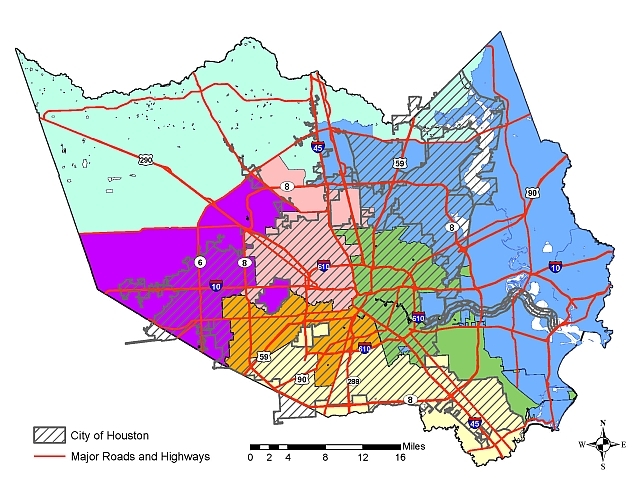 The Health of Houston Survey 2010 is the first household survey to provide communities with information about the health of people living in the Houston area. The survey supports the efforts of health agencies, service providers, and community organizations to have more accurate and up-to-date health information about Houston communities. The ultimate goal of the survey was to create a reliable, efficient and flexible infrastructure for a biennial survey to track emerging health issues, assess the impact of health programs, and document health improvements in valid and fully-comparable ways in the Houston area. Additionally, HHS2010 is a gift to the Houston community in that the data is accessible through a web-based, interactive and user-friendly interface for both experienced and inexperienced users. This effort was made possible from a generous gift from Houston Endowment, Inc. The Health of Houston Survey 2010 has four distinctive characteristics which are novel to population surveys in this area. We believe these features are necessary to achieve the ultimate end goal - organizations use the data to improve the health of residents in the Houston area. Their respective members provided feedback based on their own organizational priorities and professional experience through a web-based form. We also solicited suggestions based on community priorities from all Super Neighborhood Councils in the City of Houston and all the civic associations with email addresses. For neighborhood and civic associations that had only a mailing address and not an email address, we created a paper version of the online form. Respondents ranked a list of provided topics and were invited to suggest new topics, to identify demographic groups/populations that were of particular interest and to name regularly used sources of data for program planning and grant proposals. Organizations and individuals visiting the HHS website were also able to provide input to the online form. This link was opened in March 2009 and not closed until late July 2009 to allow groups that might find us through the website, to contribute their input. To see a summary of the results of the feedback please see our Input Summary Fact Sheet. 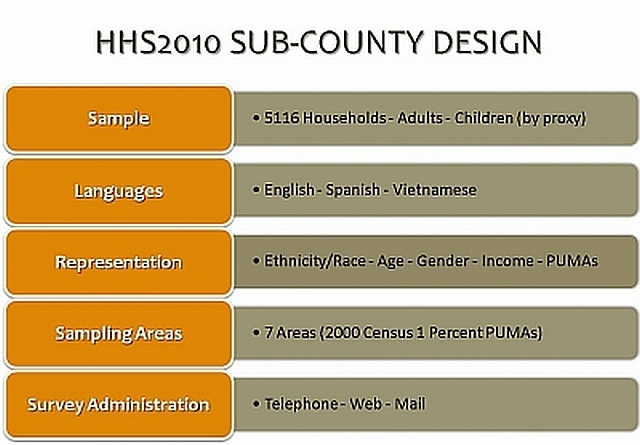 The Health of Houston Survey was designed to have a representative number of residents of the Houston area based on the U.S. Census 1-percent Public Use Microdata Areas or PUMAs (see map). Using an address-based sample, over 30,000 residents received invitations to participate in the Health of Houston Survey. The survey was administered using telephone interviews, web and mail. The survey was available in English, Spanish and Vietnamese. Certain populations were oversampled, including the Vietnamese, Asian and African Americans using a disproportionate stratified design. Primary strata are the 1-percent PUMAs whereas the secondary strata cluster Census block groups based on the incidence of ethnic minority households. To encourage participation, all participants received incentives. To know more about the survey methodology please read HHS2010 Methodology Report. 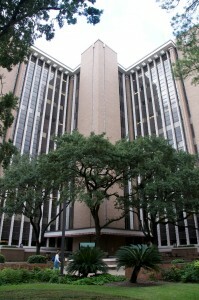 The Health of Houston Survey Project is based in the Institute for Health Policy at The University of Texas School of Public Health. The Health of Houston Survey 2017-18 data and results will be shared with the public later this Spring. For additional information, contact us at HealthOfHouston@uth.tmc.edu.